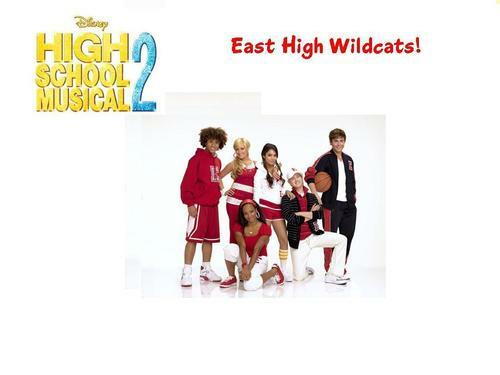 East High Wildcats. It's HSM Gang, showin' their school spirit!. HD Wallpaper and background images in the High School Musical 3 club tagged: high. It's HSM Gang, showin' their school spirit! WHAT"S TEAM ; WILDCATS!!!!!! WILDCATS IS BASKET TEAM IN MOVIE!